These popsicles are a delicious treat on a hot summer day. Not only do they taste rich and creamy, but they also replenish electrolytes that may have been lost after sweating in the heat. These all-fruit delights are dairy-free, nut-free, and sugar-free. They are so easy to make, but they also taste so refreshing and wonderful that one would never guess that they contain only a few simple ingredients! Blend 1 cup of raspberries together with one banana. Pour into molds and freeze. Blend 2 bananas until smooth. Pour into molds and freeze. For these popsicles, I used the recipe from my Chocolate Avocado Pudding. I was surprised how well it turned out because it was so rich and creamy, almost like a gelato! Since this recipe also contains coconut oil, it is a great source of healthy fats and calories. Blend together 1 ripe avocado, 2 Tb coconut oil, 3 Tb cocoa, 4 Tb honey. Pour into molds and freeze. Hint: For easy removal from molds, just run under warm water. These sound yummy! I make frozen yogurt pops with extra fruit, and also with juice/fruit and frozen fruity herbal tea (Celestial Seasonings). 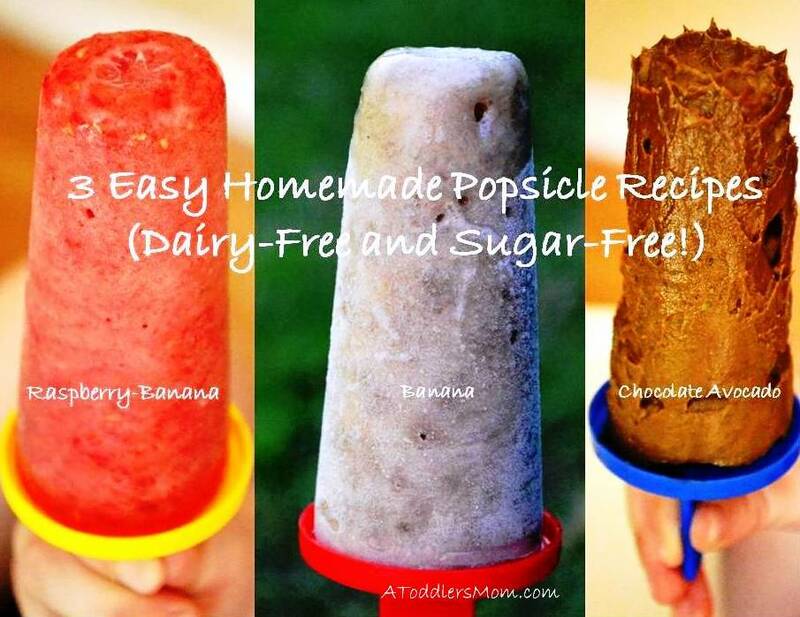 I have never tried banana in a popsicle mold, though I use them frozen to make smoothies. I think I am going to give the raspberry banana popsicles a try! Those are awesome ideas! Thanks for sharing!